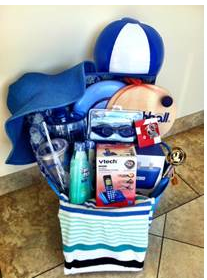 Huge Summer Basket from VTech Giveaway! I keep looking at the calendar. How many more summer days can I fit in before school starts? What do I still need to get done from my Summer Bucket List? VTech has been thinking along the same lines and they are wanting us all to end the summer with a splash! 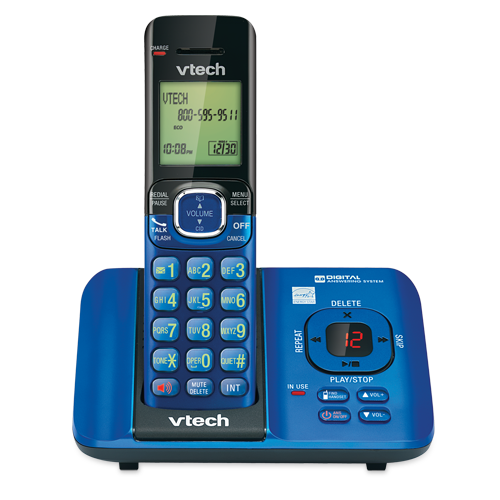 Check out this VTech Cordless Answering System with with Caller ID/Waiting. What a great color ~ beachy blue! Call all your friends up and have them come over for one last Summer get together. Expandable up to 5 headsets with only 1 phone jack ~ love this feature. I think Hubby is going to take it to his office and he can get multiple uses for different rooms. This phone is available at VTechPhones.com or Target for only $29.95! Ready to hear what is in the Summer Basket Giveaway? See, you’re friends would LOVE to come over and share the fun! I received an item for review free of charge and all opinions are my own. This giveaway will end on Aug 12, 2013 at midnight EST. Winners will be drawn via rafflecopter. Once a winner is drawn I will contact them and they will have 48 hours to reply before I draw a new winner. Giveaway is open to anyone in US and you must be 18 years of age or older. Giveaway not affiliated with Facebook & I release them of liability. Winner will be posted in the rafflecopter widget. Originally published on 2013-07-29 by Courtney at Crunchy beach Mama .